"The Country Club had two rope tows on a broad, gentle slope. I wish I had more information on it, but I just remember that it was fun skiing there in a day when rope tows were the standard at many areas. There was a certain pride in being able to stay on those things to the top of the hill!" More information on the history can be found in the memories below. 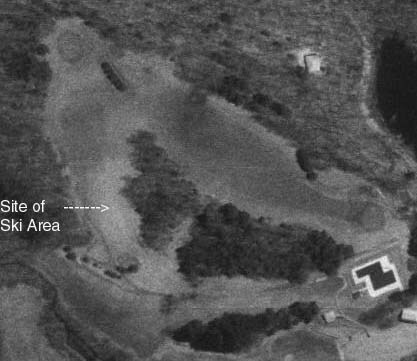 Here's a Terraserver picture of the golf course, showing where the ski area was located. 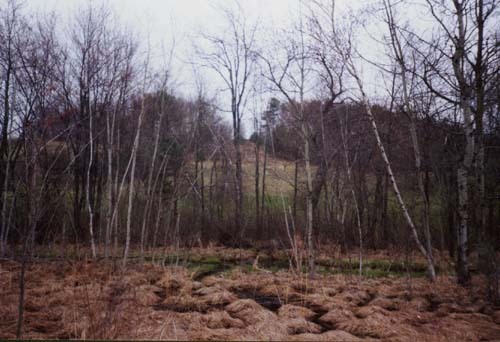 George Putnam's picture of the slope, looking towards Lawrence Academy. Circa 1950. 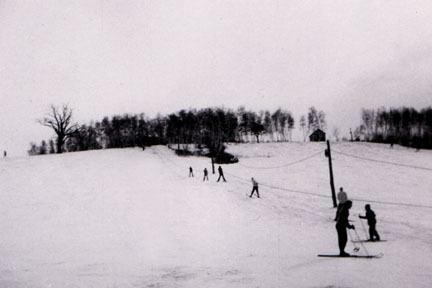 The bottom of the ski area in 1950, with one tow in the middle and one on the far right. 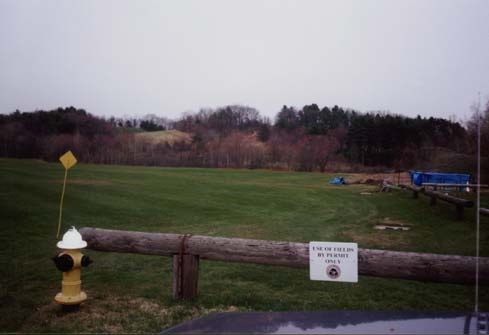 Here's a more distant view of Groton Hill and Country Club from Lawrence Academy in 1998. You can just barely make out the trails above the sign. Here's a closer view of the slope, through the trees. Bruce White: Groton Country club is/was an odd beast. Prior to the Groton Country Club was the Cross Country Club. This was a riding club - of the hunt or steeplechase variety. Remains of their trails were in existence until the late 70's early 80's. By the way, across the street from Johnson's and (You guessed it) Weiwal's rope tow. Sometime before I was born the Country club was started and 9 holes built over the old riding trails. The ski hill was two sided. One shallow the other steep. More on this later. Remember skiing there as a kid ('65). Lawrence (Academy) ski team still used it to practice, but there were no tows. One of the teacher's (Jack Burkess -sp?) was friend's with my folks. His daughter Marty (who was doing some racing, think with LA) gave me some basic lessons there when I was 5. In the mid to late 70's it was still referred to as the "LA ski hill." I was on the cross country (running) team. Our coach's favorite hill work out was run from the high school to the hill, then run up the steep side, and down the shallow side (where the tows had been) and back up. 10 times. Then run back to the high school. Steep side was about 40-50 degrees. 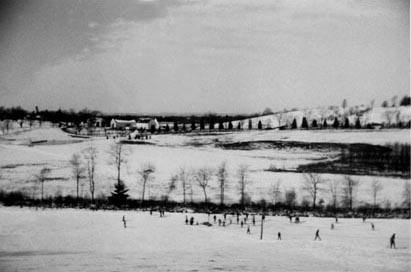 Bill Curry: I am not sure exactly what year the commercial aspect of the hill might have ended and it may have been in the 1950's, as Priests Hill came into being and most would go there instead of continue at Groton Hills, but my Grandparents (Carl Lawrence) lived on the hill just up from Lawrence Academy and he sponsored the LA ski team when I was there from 1968 to 1971. The Lawrence Academy Ski Teams (Varsity and JV) used the area for practice daily and there was a rope tow (very high speed and it could have been done by the staff?) at the time. 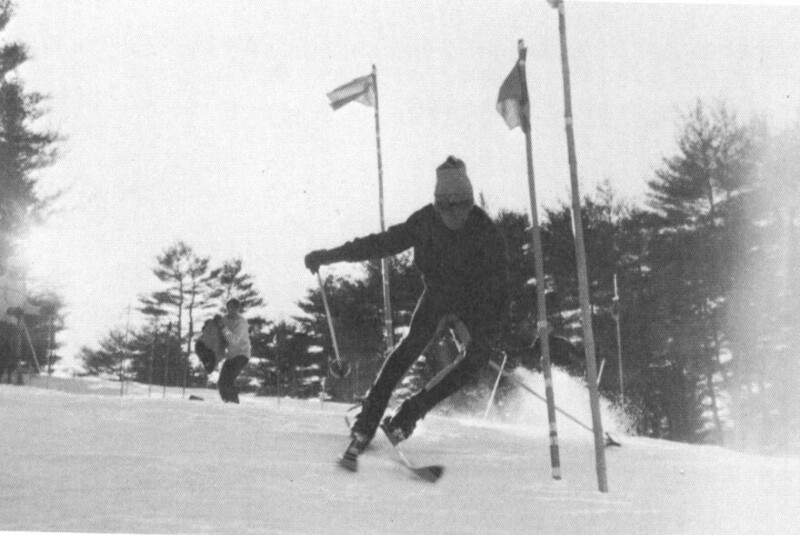 We had ski meets at Indian Head in Pepperell (and your Egon Zimmermann, who had clinics with us, mention brought back flashbacks! ), but all our practices were at Groton Hills. The Groton Hills (and Country Club) area indeed was running in the 1960’s. It was listed in a Skiing issue in September of 1969 as one of the areas in Eastern MA. This jibes with my recollection that I skied at Groton Hills until Priests opened in 1962, and then we had the two areas until about 1970 or so. 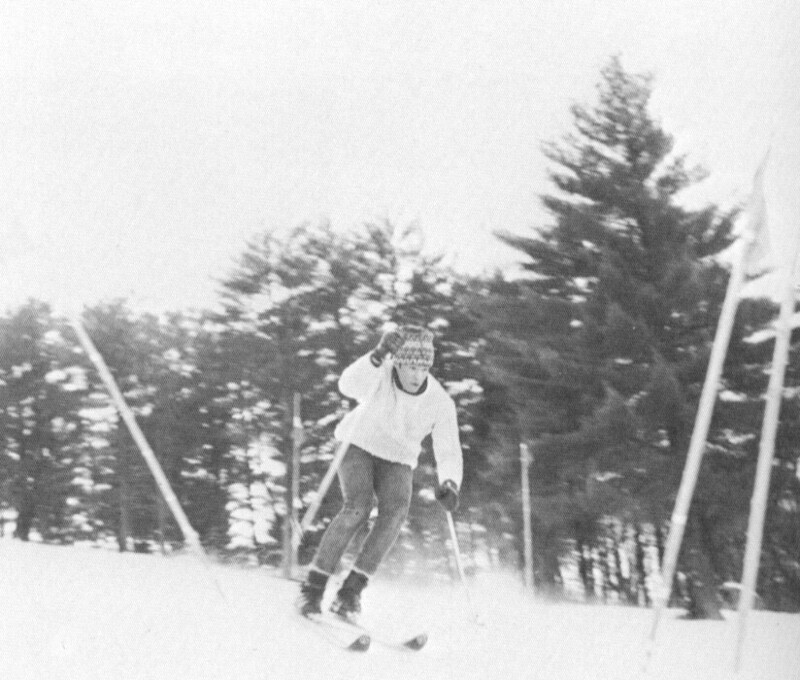 I think as Priests expanded and Nashoba got more popular (and Wachusett got snow-making) this all combined to kill Groton Hills - I did ski there as a Lawrence Academy Ski Team member in 1968 to 1971. Here are two photos- one I took of a team mate (below left) and the other someone took of me (the below right image) both taken on Groton Hills in 1969. The tow by the way, used to go up what is now the 2nd hole at Groton CC golf course. Do you have information on this ski area and would like to share it with us?